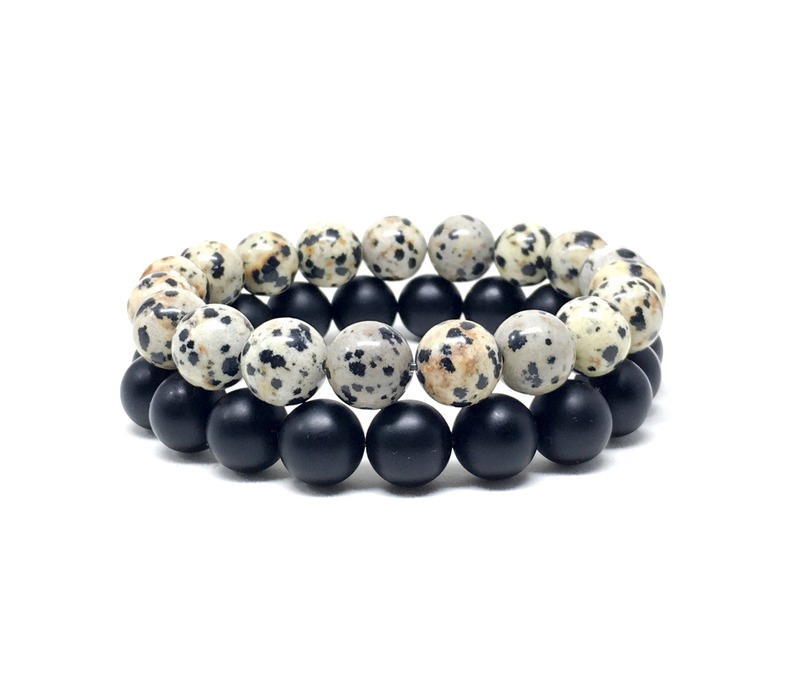 Men's beaded bracelets made with Dalmatian Jasper and Matte Onyx. Beautiful men’s beaded bracelet made with 10mm Dalmatian Jasper and 10mm Matte Onyx. Men’s beaded bracelet. 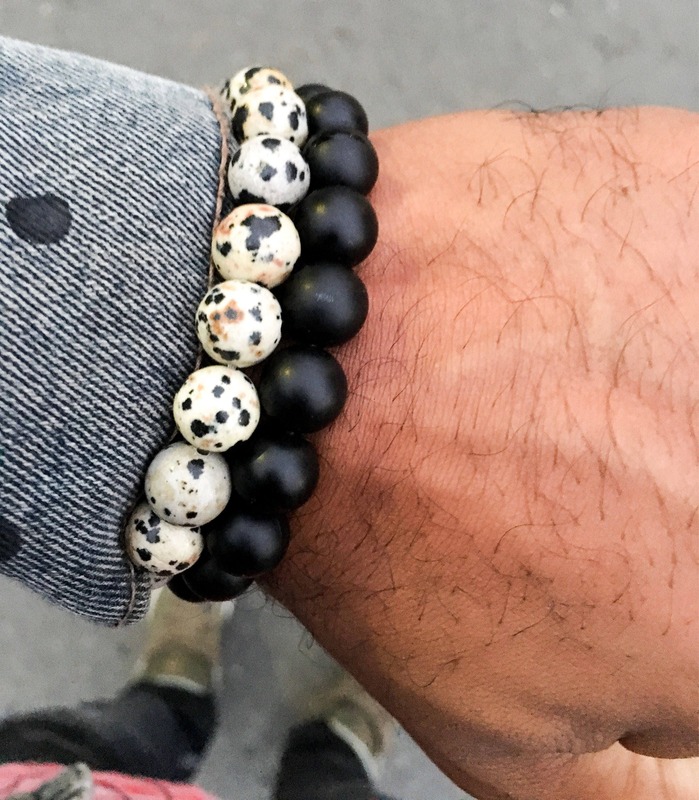 Dalmatian Jasper reconnects us with our playful nature, it balances Yin and Yang and aligns the Physical, Emotional and Mental bodies with the etheric realm. It is helpful in overcoming depression, nightmares and negative thinking. Dalmatian Jasper is of particular use when feeling stuck in life, it helps to transform outworn thinking patterns or overanalysing to enable one to move forward in life with composure. It has also been used to calm, train and communicate with animals. 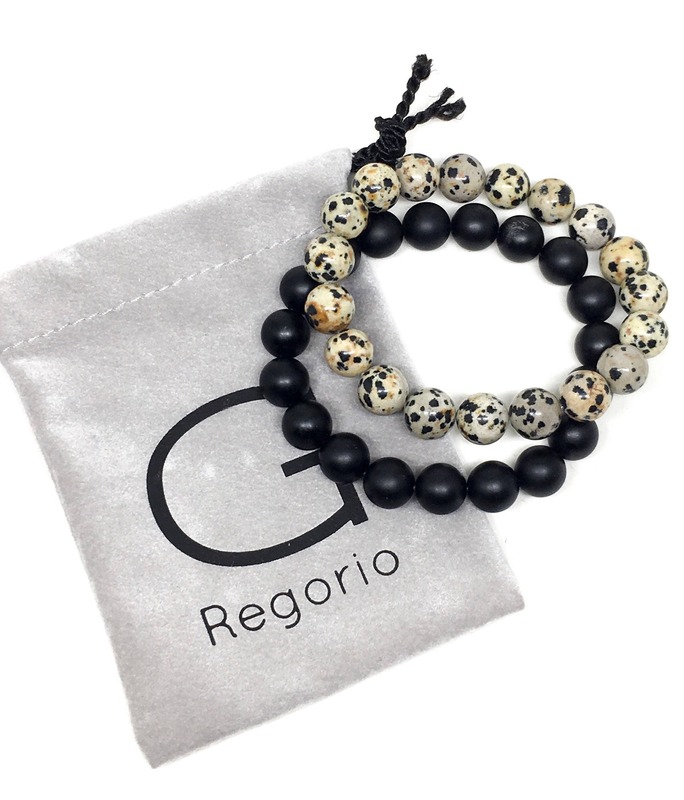 This beautiful bracelet set comes in a Sill Suede jewelry pouch customized with our logo.